← Who Is Jonathan Sweet? Although his place of birth is still under question, Jonathan Sweet was born in England in 1765 and died in 1834. The first record of Jonathan was found in a letter from the Earl of Elmore to a friend announcing he had promoted Sweet to head groom of his extensive breeding facility. Sweet had an unerring eye for good horseflesh and also a penchant for gambling. With this delightful skill set, he managed to amass a fortune over the years and moved to London where he acquired a site in St. James Street and opened a building that became Sweet’s Racing Club. 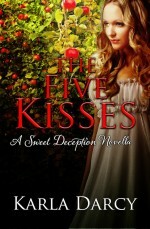 The Earl of Elmore and several friends had been meeting at a coffee house but gratefully moved to Sweet’s. The original club committee included the Earl of Elmore, the Duke of Ruhaven and several close friends. They limited the membership to forty and frequently travelled down to Newmarket to watch the racing. The younger set preferred the vitality of the social life in London and were grateful to have a place to entertain friends in the private parlors or to sleep off the rigors of hard partying in the rooms above. 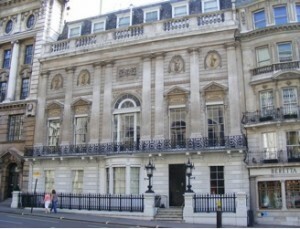 This is a picture of White’s Club in London similar in looks to Sweet’s Racing Club. White’s was founded in 1693 and is still in existence today. Sweet’s was closed in 1834 on Jonathan Sweet’s death. At Sweet’s one could gamble at Loo or have a quiet game of whist with friends. The club steward and the waiters were quietly efficient and were all addressed as George, according to rumor to honor Sweet’s brother who had died at an early age. The servants and other attendants wore all black with brass buttons imprinted with a horseshoe. Although the atmosphere was generally friendly there were times when betting was heavy that the tone became more tense. The youthful members competed heavily for the favors of both gentlewomen and ladies less discriminating. Wagers were placed on the outcomes of many of these matches. Come and meet some of the members of this elite club and the women they love. HERE.